Many infectious diseases can fade away after initial outbreaks. Bubonic plague, cholera, and influenza are examples from recent human history. The same phenomenon occurs for wildlife diseases as well. How does this happen? One popular explanation is that the pathogen evolves to become less deadly, so that it doesn’t completely wipe out its hosts, ensuring pathogen survival. While scenario does sometimes play out, we know that there are other reasons why the severity of diseases can change over time. To answer these questions, we did two things. To begin with, we surveyed frogs in Panama before and after the disease outbreak. In addition, we collected samples of the pathogen at multiple time points: during initial outbreaks and ~10 years later. We found that nearly a decade after the outbreak, the pathogen was just as deadly. However, the frogs are surviving and have better defenses against it. Panama’s frogs are fighting back! Understanding how amphibian communities are recovering after this disease outbreak is important multiple reasons. First, resolving how this works will help us develop more informed conservation strategies to protect amphibians from disease-induced extinctions. Second, clarifying how disease outbreaks subside will help us predict, and respond to, other emerging pathogens in plants, wildlife, and in humans. These goals are increasingly important in a time when rapid globalization has increased the introduction of pathogens to naïve host populations. This work was published in the March 30th issue of the journal Science. Change is key to frog survival. Science. Why are some frogs surviving a global epidemic? The Atlantic. A few species of frogs that vanished may be on the rebound. The New York Times. Some endangered frogs may be leaping back from extinction. The Washington Post. A ribbit of hope: Panama frogs hop back after nasty disease. Associated Press. Some frogs may be developing a resistance to the disastrous chytrid fungus. Wired. Frog skin secretions offer the first ray of hope in a deadly fungal epidemic. Popular Science. The frogs bouncing back after almost being wiped out by disease. New Scientist. Frogs are fighting back against deadly fungus responsible for ‘amphibian extinction crisis’. Independent. Frogs show signs of immunity to chytrid fungus pandemic that has wiped out about 200 species. ABC News Australia. Some frogs may be bouncing back after killer chytrid fungus. Science News. Frogs fight back from fungal attack. The Scientist. Frogs fight back against deadly fungus. Der Spiegel. Sparkling hope for fire salamander: recovery possible after crushing fungal disease. DeMorgen. Can frogs defeat their biggest enemy? Welt. What stops mass extinctions? Smithsonian. Frogs in Panama are resisting a deadly fungus. Mother Nature Network. Resistant amphibians: Resurrection of the amphibians. Der Tagesspiegel. Frogs make a comeback, beat fungus. Ars Technica. 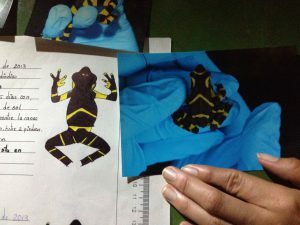 Frogs may be ‘fighting back’ against deadly pandemic. Mongabay. For fungus-infected frogs, it’s change or die. KJZZ, Phoenix NPR. 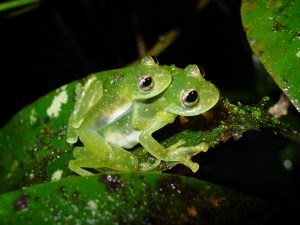 Study reveals frogs bouncing back in Panama. Vanderbilt Research News. Frog research could help predict human disease outbreaks. ALN Magazine. Against the odds: Panama’s lost frogs cling to life in chytrid’s wake. Medium. 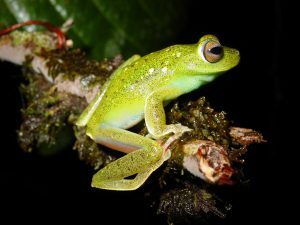 Central American frogs defend against fungal disease. The Wildlife Society. What an epidemic among frogs can teach us about human disease. Nation Swell. 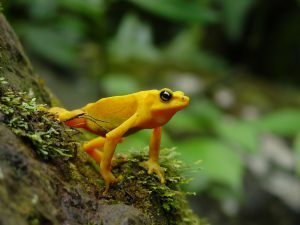 Some tropical frogs may be developing resistance to a deadly fungal disease – but now salamanders are at risk. The Conversation. 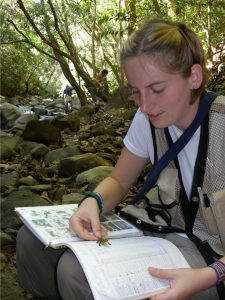 Defying disease: some amphibian species are fighting back and inspiring a new generation of women herpetologists. Nature Ecology & Evolution Community.